Positron Emission Tomography (PET) imaging is a Nuclear Medicine procedure that shows the molecular functioning of organs and tissues. It is used to evaluate a variety of diseases, and is able to detect the chemical and physiological changes of disease at a cellular level. This diagnostic examination develops images of the human body that provide information that often allows for earlier detection and more accurate diagnosis of diseases. At Affiliated PET Systems LLC, PET Scans and CT scans are done simultaneously for a more accurate reading of the patient’s findings. 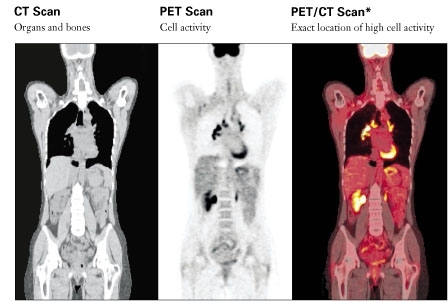 With a combined PET/CT, the PET image provides a measurement of metabolic activity and the CT image provides a detailed picture of the internal anatomy. PET/CT is a recognized clinical certainty with proven uses in four major areas: Oncology, Neurology, Urology, and Cardiology. PET/CT can accurately determine whether most tumors are benign or malignant, show the progression of a disease and accurately track the effectiveness of cancer treatment. PET/CT can reveal dysfunctional cognitive patterns, making it a valuable tool for assessing patients with various forms of dementia. PET/CT is an imaging modality that has helped advance the treatment of refractory seizures as a pre-surgical diagnostic tool to guide treatment options. A PET/CT scan provides one of the highest levels of accuracy of any non-invasive test for the diagnosis of coronary artery disease and the assessment of myocardial viability. PET/CT technology also has a potentially larger and valuable role in early diagnosis and tailoring therapies for the specific disease. Your physician has referred you for a PET/CT scan because he or she believes it may help determine whether you have a disease, the extent of the disease, and the best course of treatment. Upon arrival at the PET/CT center, you will be escorted to a quiet preparation room. The technologist will insert a small intravenous catheter and inject the radioactive tracer that resembles glucose (sugar). You will be asked to rest quietly for 60 minutes as the tracer circulates throughout your body. You will then be instructed to empty your bladder and afterward you will be positioned on the imaging table to begin your PET/CT scan. The procedure is painless and varies in length depending on the part of the body that is being evaluated. In general, the imaging portion of the PET/CT scan takes approximately 30 minutes. In total, the entire PET/CT scan visit will take approximately 2 hours. A physician specially trained in reading PET/CT scans interprets the images acquired during the procedure. Your referring physician will receive the results within 24-48 hours. Will my insurance cover PET/CT? Many insurance companies are reimbursing for PET/CT procedures. Contact your insurer directly to learn about payment reimbursement. Diabetic patients will require special preparation and should call the PET/CT Center for instructions. If you have any questions about your pre-test preparation, please contact the PET/CT Center. Who should have a PET/CT scan? Your primary care physician or specialist will determine if a PET/CT scan is appropriate for you. PET/CT scans have been particularly useful in evaluating many types of cancer. PET/CT can detect an abnormality and determine if it is benign or malignant. It can also evaluate your response to chemotherapy or radiation therapy. 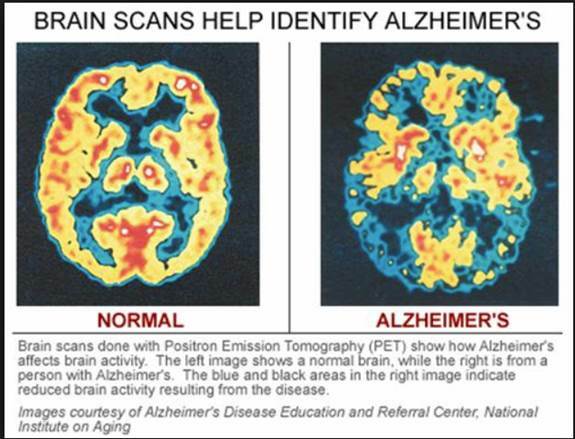 PET/CT is useful in diagnosing many types of neurological disorders, such as Alzheimer’s disease and epilepsy, and to identify certain types of heart disease. Pregnant or nursing women should not have a PET/CT scan unless their doctor believes it is essential to their care. A person having a PET/CT scan is injected with a radioactive tracer, such as FDG, about an hour before the scan. The FDG, which is a form of radioactive glucose (sugar), is absorbed by the body’s tissue. The PET/CT scanner produces both PET and CT pictures of this tissue and surrounding anatomy, which reveals important information and will assist your physician in your treatment. What’s the difference between a PET/CT scan and other imaging tests, such as CT and MRI? PET/CT is a way of imaging how the body is functioning and accurately showing the location of those functions. CT and MRI, which are used to visualize the structure of the body, do not provide images of metabolic activity. In some cases, PET/CT can identify abnormal activity before it is visible on CT or MRI. When used in conjunction with these other imaging modalities, PET/CT can provide an even more comprehensive picture of the body function. Will My Insurance Cover My PET/CT Scans? Yes. You will not experience any discomfort and can relax while the scan is being performed. How do I get a PET/CT scan scheduled? You or someone from your referring physician’s office will contact the PET/CT Center to schedule the procedure. You will be contacted by the PET/CT Center to confirm your appointment.